For most American and International visitors, Honolulu (Oahu) serves as the gateway to their Hawaiian Islands Adventure. For some, Honolulu is merely the entry and exit port before going to the North Shore (Oahu) or off to the rest of the archipelago: Maui, Kauai, Hawaii, Lanai, or Molokai. For others, Honolulu will be the epicenter of their trip or they may have a few days to explore during a conference/meeting. The bulk of our Hawaii Trip was in Maui (future upcoming itinerary), but we spent 3 nights in Honolulu and we wanted to see as much as possible in Greater Honolulu / Southern Oahu. It is a cosmopolitan mix of American and Asian influences with a strong history of Native Hawaiian/Polynesian culture and a proud military heritage as the attack on Pearl Harbor galvanized American entry into WWII. In this mini-itinerary, we focus on maximizing your time here with some amazing food, quick hikes, great beaches and snorkeling, and breathtaking vistas! 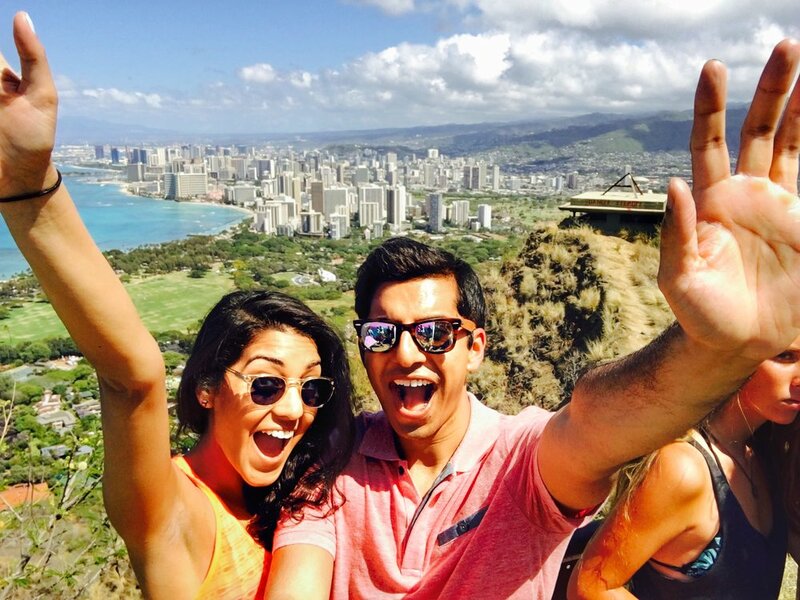 When to go: Honolulu is a year-end destination. That being said, the pricing is actually paradoxical. The High Season (most in demand) in Honolulu is not related to Hawaiian weather patterns. Instead, it is related to the fact that the weather is worst through the North American winter between Dec-March and coincides with major school holidays/breaks; expect to book things in advance and pay a premium as mainland visitors descend on Hawaii. If your schedule is flexible, the Best Weather in Hawaii actually coincides with the Low Season (less in demand) between May-June and Sept-Nov. If you can travel at this time, you can avoid some of the crowds and save a little bit of money. Just as Hawaii is extremely popular with American and Canadian tourists (especially during Xmas and winter/spring breaks), you can save some additional money by avoiding Golden Week holidays in Japan (late April/early May) as Hawaii is a very popular destination among the Japanese. Rent a car. You will want to explore on your own and not be dependent on tour groups. Bring your own snorkeling equipment. Whether you plan to use it at Hanauma Bay or elsewhere in the Hawaiian Islands, generally buying it on your own will just be easier and save money. There maybe places that as you drive around that catch your fancy and won't have a snorkeling rental stand. Be prepared to jump in the water anywhere! If you can't spare the space to pack it, there is a Walmart in Honolulu where we actually bought it. We had 3 nights / 2 days in Honolulu (Southern Oahu). Keep in mind that Hawaii is 5 hours behind New York. We landed in Honolulu in the afternoon. This evening was more about hanging out by the pool and fighting to stay up to at least 9-10PM Hawaii time so we were successfully time adjusted for the rest of the trip. We really had 2 full days, but if you have some extra time you could flesh out Day 1 below into 2 separate days. We will also list a few of our favorite dining recommendations along the way as well. This seems like a lot. But the most strenuous part of it (Diamond Head Hike) is early and the rest of it is chillin out, maxin', relaxin' on various beautiful beaches. Since we did this on Day 1, our body was still adjusted to the US Eastern seaboard so our circadian rhythms naturally woke us up early. *If you crave some coffee before/after your hike, we really enjoyed ARS Cafe which is only a 3 minute drive away from Diamond Head. Now off to the beaches! Your first stop is Hanauma Bay Natural Preserve which is about 20-30 minutes from Diamond Head on Highway 72. This is a gorgeous cove with great coral reefs and marine life; it is perfect for a few hours of snorkeling. Historically, this was a popular vacation spot for Hawaiian nobility. We would recommend anywhere between 2-4 hours here. If this is your last major excursion of the day, you would headback to Honolulu west on Highway 72. If you have more time in Honolulu and want to do everything at a more leisurely place you could do the rest of "Day 1" in this itinerary as a separate day. After about 2 hours at Hanauma Bay, we headed off to Lanikai Beach by continuing east on Highway 72 for about 40 minutes. 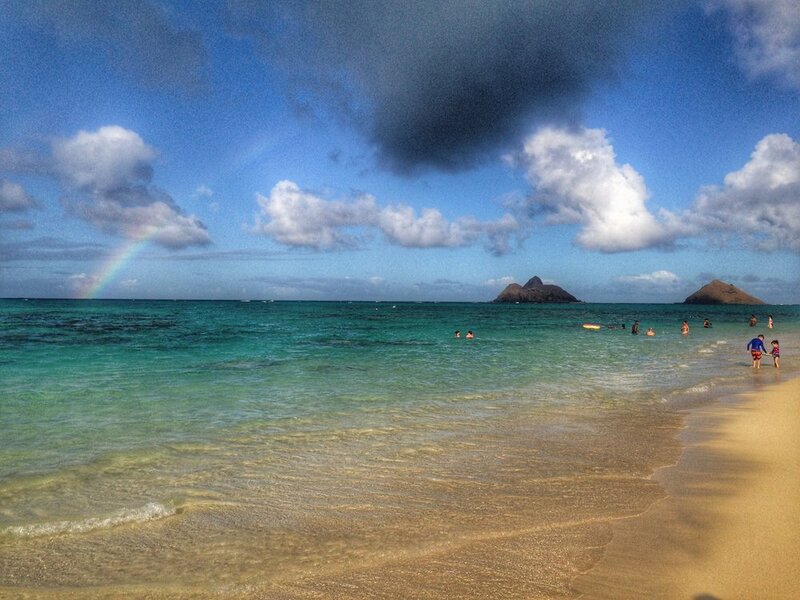 Lanikai Beach is less snorkeling and more of a classic, romantic beach. We were lucky to catch a little rainbow. If you have time, you could also walk about 15-20 minutes to see nearby Kailua Beach Park which we didn't explore. Once we settled into Lanikai, you couldn't get us to move as laziness from the hike and the sugar from earlier in the day hit us. We stayed at Lanikai for a couple of hours. Since we had to take Pali Highway back to our hotel in Honolulu, we stopped for about 30 minutes at Nuuanu Pali Lookout for some wide-ranging beautiful views and some interesting battle history. *After heading back to the hotel to relax, we went to dinner at Dagon an awesome, unassuming Burmese restaurant. Great Burmese food isn't often easy to find so we stuffed ourselves here after the long day. And since we love Northern Thai and Indian food, this serves as the perfect mix. A must do is visiting Pearl Harbor / WWII Valor in the Pacific National Monument. A visit for any age group, you learn first-hand the gravity of the tragedy and sacrifice of the armed forces on that infamous day on December 7, 1941, how the attack ushered formal entry of the US into the Pacific and European theaters of war, and the strategic importance of Pearl Harbor for the US Pacific Fleet. There is great footage in a 20 minute documentary video with plenty of historical artifacts and information. Our one regret was that we wanted to see the USS Arizona Memorial but did not get a chance to because the day we had planned for Pearl Harbor was a windy day and the US Navy (which operates the boat ride from the Main National Monument to the USS Arizona Memorial) had cancelled all boat rides due to high winds. This occurs relatively frequently so it maybe best not to keep Pearl Harbor for your last day. We hope to see the USS Arizona Memorial on a future visit to Pearl Harbor. While we think there are so many more beautiful, serene beaches in Hawaii with far less crowds and commercialization than Waikiki Beach, we wanted to set foot in it once to pay homage to the beach that put Hawaii on the international map in the mid-20th century. It was our last sunset in Hawaii on this trip and we can't wait for our next trip to Hawaii. *If you are into Japanese food, we really enjoyed having lunch at Ichiriki.